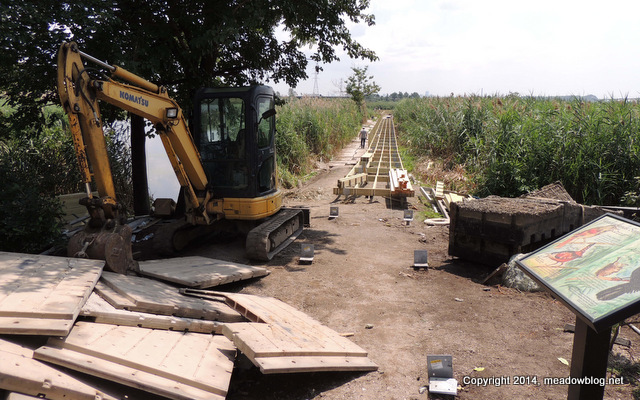 Thought we’d share this photo of Marsh Discovery Trail repairs, taken yesterday. The old slippery plastic boardwalk is being replaced with cedar planking. Like you, we can’t wait for this great trail to reopen.